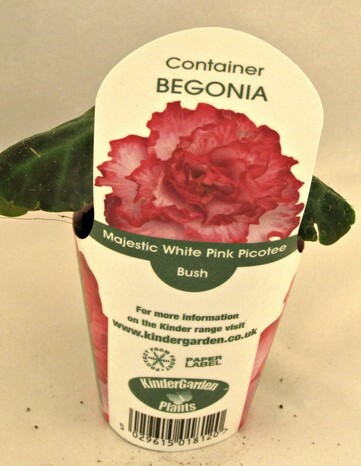 Starter Plants are grown in a preformed reduced Peat plug of compost bound together with a glue like compound, these plugs are supplied in a cleverly designed paper sleeve which holds the compost plug and serves as the plant label. Starter plants are easy to use, all you have to do is pop the plug out of the sleeve and plant. Photo is for illustration purposes as all plants are individual, each plant may vary slightly from the image. 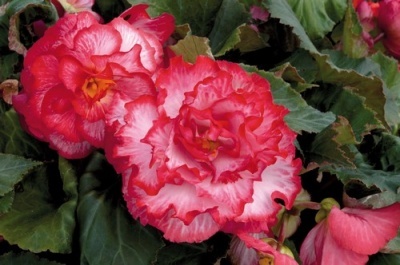 Ì have recently purchased some picotee Begonias. As usual the quality was outstanding. Potted up in my greenhouse ready to go into the garden when weather improves. Well done Bosworths Garden Centre.